Is that treasure hoard burning holes in the heroes' pockets? 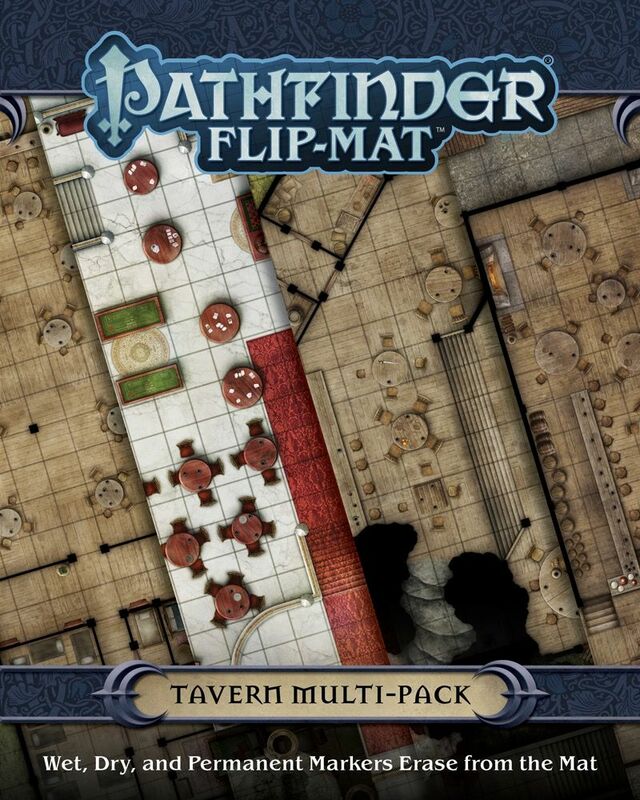 Pathfinder Flip-Mat: Tavern Multi-Pack has you covered. The four sides of this Flip-Mat Multi-Pack present a unique tavern experience. From roadhouse and gambling hall to pirate bar and metropolitan watering hole, each side allows your players to party the night away! With these handy tavern maps, you’ll be ready for anything the next time your players are looking for a new group of drinking buddies! This set includes two Flip-Mats, each measuring 24" × 30" unfolded, and 8" × 10" folded. Usable by experienced GMs and novices alike, Pathfinder Flip-Mat: Tavern Multi-Pack fits perfectly into any Game Master's arsenal!